Nigeria’s ruling All Progressives Congress (APC) party held its final rally in the capital, Abuja, in a bid to firm up their preparations ahead of Saturday’s presidential election. 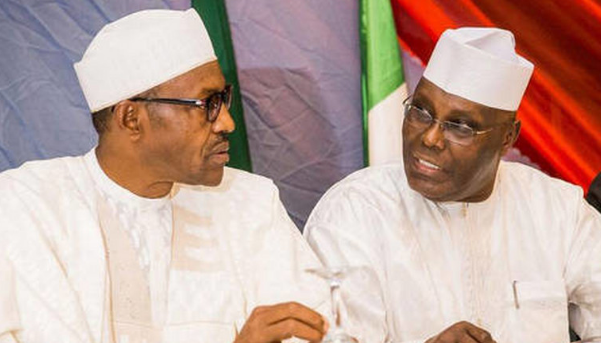 President Muhammadu Buhari will be challenged for the top seat by 72 other candidates, but pollsters project his main challenger to be a former vice president, Atiku Abubakar. Atiku’s People’s Democratic Party (PDP) was also scheduled to hold a rally in Abuja, but it cancelled the plan, and instead held what it called “a national day of prayer” at its campaign headquarters in the city. The two candidates will compete for favour from the West African country’s over 80 million voters who are registered to participate in Saturday’s election. Election experts predict an intense competition between the two, as it is not clear yet who may have an upper hand in the vote. Both Buhari and Atiku are former political allies, with the later having been a member of the APC until December 2017 when he defected to the PDP. President Buhari will be seeking a second and final term in office on Saturday, and will once again be deputized by Yemi Osinbajo, with whom he sought his first term. Atiku on the other hand will be deputized in the race by Peter Obi.